Energy Capital Economic Development works on projects, events and activities that grow, diversify and expand our local economy. We focus on primary type industries - those industries that bring new money from other places into our community. The projects, activities and events on this page are some of the things that we have done and are doing to build a strong economy for our future. Many of the projects and activities that we work on are reported in local, regional and national news. visit our "Success Stories and News Articles" page to find the articles. The Energy Capital Enterprise Center is intended to be a business incubator to provide assistance to new businesses and those just getting started. 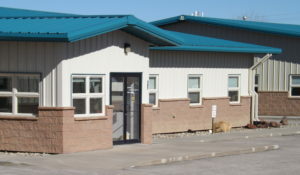 This building was purchased by Energy Capital Economic Development in March of 2016 utilizing a Wyoming Business Council Business Ready Community grant. Once fully operational we will have a full time director who will provide assistance, coordinate resources, manage schedules and all other duties needed to ensure the success of the Enterprise Center. Our goal with this facility is to help businesses that will diversify and expand our local economy. 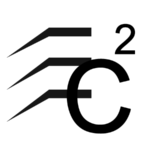 The Advanced Carbon Products Innovation Center (ACPIC) "Icepick"
Since the dawn of time coal has been used as a fuel source. Studies and research have shown that there are more useful and valuable ways to use coal. Almost everything that is refined from oil can be refined from coal. There is an incredible amount of lab research that demonstrates refining coal into products such as carbon fiber, asphalt, fuels of all types, activated carbon, char for agricultural use and much more are very practical. In most cases the research has stayed in the lab and has never developed into marketable commercial products. Times are changing, and there are opportunities to take existing research and commercialize it for new and profitable products. One critical piece is needed: a place where these technologies can be proven out on a small, pre-commercial plant size level. That is the purpose of the ACPIC; to have a place where the lab research can be taken from the lab and proven to be commercially viable. Once the process and products are proven, the next step is a commercial industrial manufacturing plant to make the product. This will provide two important parts of our future economic growth. First, we will have a more diverse economy that is not dependent upon the price, demand or political climate of coal, oil and gas. Second, with coal as the primary raw material for these Advanced Carbon Products, our people will still be mining coal, with the added bonus of new customers for their products. Energy Capital ED has obtained a $1.5 million-dollar grant to purchase the land and build a building for this facility. We are partnering with the University of Wyoming School of Energy Resources to bring this opportunity to fruition. 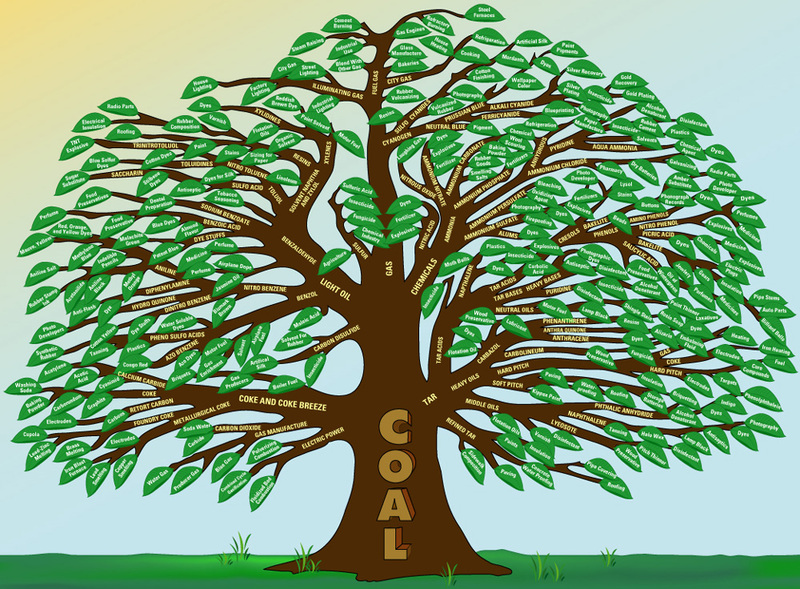 The "Coal Tree" illustrates the many products that can be manufactured or produced using coal as the primary raw material. Bringing new businesses to Northeast Wyoming (NEW) and expanding those already here is critical for the continued economic health of this region. For that reason, Energy Capital ED has partnered with the NEW Growth Alliance, which encompasses Campbell, Johnson and Sheridan counties. New Growth Alliance promotes the many advantages of doing business in our region, including strategic connections to national and international markets, a skilled and high-quality workforce, a pro-business government and economy, and an enviable quality of life with safe streets, top-ranked schools and exciting recreational opportunities. The NEW Growth Alliance has successfully implemented a marketing plan specific to each of these industries. This concerted lead generation has resulted in a total of 134 prospects, 15 of which are categorized as “hot,” that is actively considering projects in Northeast Wyoming. The assessment also found additional industries identified in communities within the region, further supporting industry diversification in Wyoming. Higher education and economic development are irrevocably linked. New and expanding businesses require an educated workforce from which to hire talent, and educational institutions need businesses willing to hire their graduates. The goal of the Higher Education Task Force is to identify the educational needs of our local businesses and community members – then find a way to bring those degrees, certificates and courses to Gillette College. The Higher Education Task Force works to maximize that mutual value between education and economic development in Campbell County. One initiative has been to commission a market study to provide the information and analysis needed to support decisions about future educational opportunities at Gillette College. This study will support a higher education planning process that seeks a balance between the supply of educated workers and the demand for an educated workforce. One potential outcome could be to bring higher level degrees (BS, BA, Masters) to Gillette College. Clean Coal Technologies, Inc., a cleaner-energy technology company with headquarters in New York City, NY, holds patented process technology and other intellectual property that converts raw coal into a cleaner burning fuel. The Company’s trademarked end products, “PristineTM” coals, are significantly more efficient, less polluting, more cost-effective, and provide more heat than untreated coal. The principal elements of the Company’s pre-combustion technology are based on well-proven science and tried-and-tested industrial components. The Company’s clean coal technology may reduce some 90% of chemical pollutants from coal, including Sulfur and Mercury, thereby resolving emissions issues affecting coal-fired power plants. 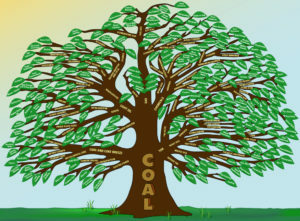 For more information about Clean Coal Technologies, please visit www.cleancoaltechnologiesinc.com. Energy Capital Economic Development is working with the owner and developer of the Fort Union Industrial Park to bring additional business and industrial “shovel ready” sites to Campbell County. To build a healthy, viable, long-term economy, Campbell County must attract industries that sell products outside the local area to bring new money into the local economy. And to do that, a good transportation system for shipping in raw materials and shipping out goods is essential. Fort Union Industrial Park is being expanded to allow businesses to set up shop in an industrial park directly served by railroad transportation. Energy Capital ED is working with the City of Gillette to design the park to accommodate unit and/or manifest trains of various industrial commodities and to be served by BNSF Railway. ENDOW, Economically Needed Diversity Options for Wyoming, is more than just another legislative bill signed in March 2017. It is a road map for assessing and implementing options for diversifying the Wyoming economy. And Energy Capital ED is on the front line of implementing this in Northeast Wyoming through its affiliation with the NEW Growth Alliance, which submitted an economic assessment for this area of the state. The next generation of low-carbon energy technology is now one small step closer to reality with the recent groundbreaking at the Dry Fork Power Station outside Gillette, Wyoming. In a few years, the Integrated Test Center (ITC) will house teams competing for millions in prize money for their solutions to carbon management. The ITC is a model public-private partnership that will provide space for researchers to test Carbon Capture, Utilization and Sequestration (CCUS) technologies. Only the second center of its kind in the United States, the ITC alleviates typical concerns around transferring technology from the lab to a power plant since test center users and XPRIZE teams will be working with real flue gas directed from the plant to the test center. Coal powers jobs and homes in the West, and the future of the industry may drastically improve with the development of CCUS technologies. Tri-State is proud to be a part of this landmark endeavor and will continue to share updates as the ITC nears completion. While attracting new industries to our area is an important component of economic development, Energy Capital ED’s primary focus is working with and assisting existing local primary type businesses. Through the Business Retention and Expansion Task Force, Energy Capital ED meets with local businesses to assess their needs, find out how they are doing and help provide an understanding of what resources are available to help them meet their goals. The task force gathers information that can assist local businesses and also provide insight to Energy Capital ED on the best companies to recruit to Campbell County. One example of the task force’s work is the successful effort to help Atlas Carbon obtain the funding for a second production line. Atlas uses Powder River Basin Coal to manufacture Activated Carbon – the first Advanced Carbon Product being manufactured in Wyoming with Wyoming coal. Energy Capital ED works closely with city, county and state government officials to minimize governmental barriers to constructive business and maximize government responsiveness to business. 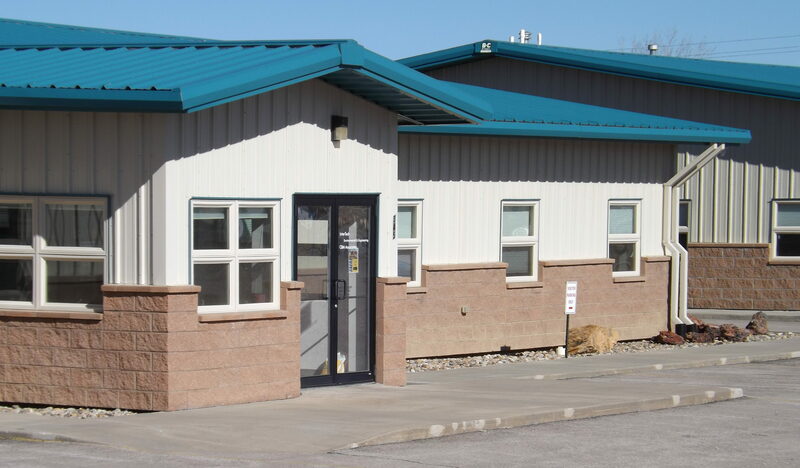 We also partner with the Chamber of Commerce, Gillette College, Campbell County Visitors Center, Wyoming Business Council and other groups to help create an environment where business can prosper and citizens’ needs can be more effectively met. Activities include meeting with government officials, sending letters and supporting materials to government officials and sponsoring information sessions for government and industry leaders to promote the interests of local businesses and industries. The B&I Park Task force works with the city and county to identify and promote available commercial and industrial buildings and sites, both for expansion of existing local businesses and to attract new businesses to this area. Information on available sites is maintained on the Energy Capital ED web site for easy access. On the second Thursday of each calendar quarter, an Energy Capital ED investor sponsors a breakfast for local business and government leaders. The sponsoring organization gives an update on its business and latest activities and Energy Capital Economic Development gives an update on the local economy and its economic development activities. Keeping the interests of Campbell County businesses in front of government officials is critical to maintaining a good business environment. To facilitate that effort, Energy Capital ED hosts a reception at the beginning of each legislative session. This event gives legislators an opportunity to visit with local government and business leaders and hear first-hand their concerns and interests. Each spring, Energy Capital ED holds an Annual Meeting to report on its activities and projects for the year. The event begins with a dinner and features a keynote speaker or speakers, as well as the update from Energy Capital ED CEO Phil Christopherson. Government officials, board members, investors and other business leaders are invited. The JCOAL Conference was held on September 21-22 in Gillette Wyoming. Energy Capital ED was a sponsor and helped organize this ongoing discussion about Japan and Wyoming as a coal supplier for their energy needs. Through the New Growth Alliance, Energy Capital ED helped sponsor an Advanced Carbon Products conference in April 2017. The Conference explored and examined Advanced Carbon Products and how facilitating their development, growth and manufacture can help transform and diversity Wyoming’s economy. Rex Carbon was recruited by Energy Capital ED to build an activated carbon plant in Gillette. REX Carbon was not able to raise the capital needed or obtain the financing that they needed to build their project. 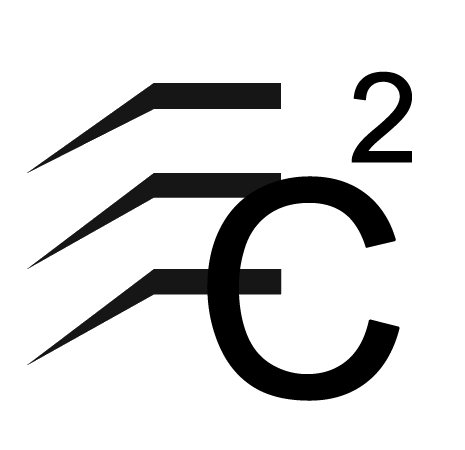 Energy Capital ED worked with REX for over a year to bring this project to fruition, but in the end they were not able to move forward with the project. Energy Capital ED partnered with the Campbell County Chamber of Commerce to host a rally to support Wyoming’s energy industry in September 2014. Keynote speakers included U.S. Senators Mike Enzi and John Barrasso, Wyoming Governor Matt Mead, U.S. Chamber Representative Dan Byers, and local government officials and industry representatives. The focus of the event was to raise awareness of emerging federal policies impacting affordable energy across the U.S. One such policy was the proposed carbon emission standards for new power plants, which had the potential to impact energy costs in our area and throughout the United States. At the time of the rally, the Environment Protection Agency (EPA) was in the midst of accepting comments on those standards. Energy Capital ED partnered with the City of Gillette in 2014 to commission a broadband study. This was a strategic move to assess and promote fiber optic bandwidth development within the community. The study focused on the long-term broadband needs of this area and made recommendations to ensure that the needs are being met. Energy Capital ED provided the $35,000 match to obtain the Wyoming Business Council Business Ready Community Grant that paid for the study. This study has resulted in the City of Gillette working closely with private industry to improve the broadband connectivity for local business in Gillette. The city of Gillette is currently seeking another Wyoming Business Council Business Ready Community Grant that will provided better access, updated equipment and additional services for business in the community. In September 2015, NEW Growth Alliance hosted a High Tech Industry Conference at Gillette College. Speakers included business leaders, a visionary and a state senator discussing their take on how technology affects businesses. Approximately 60 elected officials, investors and citizens attended the conference. In 2014, Energy Capital ED began working with the Department of Workforce Services and Gillette College to develop a program to provide training to potential oilfield workers. The courses were designed and provided by Gillette College with the assistance of several oilfield service companies. Alpha Coal laid off 1,100 workers in West Virginia in 2014, but the company needed more people to staff its local sites. Energy Capital ED helped Alpha Coal recruit those trained West Virginia coal miners to Gillette by creating a recruitment package touting the advantages of moving to Wyoming. Energy Capital ED actively follows up on leads provided the Wyoming Business Council. These leads identify new or existing businesses looking for locations for their plants or offices. Energy Capital ED submits proposals to acquaint these businesses with the advantages of locating in Campbell County.